Following on from the huge success of Guns N’ Roses, NetEnt has followed up that popular online slot with another that is based on a legendary rock band. This time it is Motorhead that has had an online slot themed around them and once again NetEnt has created an online slot that has captured the imagination of players at the online casinos. Motorhead is certainly a unique slot in both appearance and gameplay and this is noticeable as soon as you power up this 5-reel slot as it has seventy-six paylines. This is a rather odd amount but a very welcome amount at the same time. As well as the different reel format, this online slot also has some game features that we are certain will appeal to players. Mystery Reels for one is a feature that you are unlikely to see anywhere else, or very rarely at the very least. 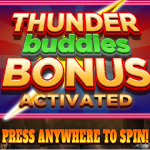 Then you also have free spins that also utilise that mystery reels feature to add to its lucrativeness. A bomber feature also gives players the chance to unearth some impressive wins. What we like about this online slot is that it feels like a less overwhelming and complicated slot compared to Guns N’Roses. That is not to say that it was not a brilliant online slot but just that this cuts down on a lot of the stuff without affecting its obvious ability to provide an entertaining a lucrative experience for its players. A first look at Motorhead when you have it loaded up on the screen will certainly leave a good first impression. The reels are set upon a backdrop of a music stage with the graphics being of the high-quality that you would expect from NetEnt. You have electric guitars, amplifiers and stage lights all present in the background. One of the first things you will notice is that the reel format looks very odd as some reels have five symbols, others four and others just three. This is how the 76-paylines are created that give you ample opportunity to take down some wins. If you are not a big fan of this legendary rock band, you can opt to turn off the soundtrack which has a number of their songs on a preset playlist. You will instead just hear the sounds of the spinning reels. Of the symbols you will see on the reels, there are seven non-special symbols and these are things like the lead singer Lemmy, some cherries, a clover, a gold star, silver bell and the classic red seven. Bonus symbols include an Ace of Spades symbol and a Motorhead symbol which are the games wilds and scatters respectively. Once you get around to betting on the Motorhead online slot, you will see that it is a fixed-payline slot which means you cannot change how many win lines to cover. This is ideal anyway, however, as we always advise players to cover all win lines when playing online slots. You can bet as little as 0.20 per spin if your budget is small or you could go as high as 200.00 per spin if you have the courage and the bankroll to back up this betting amount. Mystery reels are one of the main selling points to this game and what makes it quite unique to the many other online slots out there right now. This is a feature that is active throughout the base game and also during the free spins round and how it works is that at least one reel on every spin will be a stacked mystery reel. Once the spin has completed, if that mystery reel has any mystery symbols on them, these symbols will turn into another random symbol on the reels and give players the potential to reel in some decent wins. The bomber feature is a randomly activated bonus that can happen at any time during the base game. When this happens before a spin, a number of symbols on the reels will explode and you will see a minimum of ten mystery symbols created which will then turn into a random identical symbol on the reels to create the possibility of taking home multiple wins. Any online slot worth its salt will have a free spins round as this is easily the most popular bonus feature among players. On Motorhead, you have the ability to win ten free spins should you land three or more scatter symbols on the 3rd, 4th and 5th reels. During this round, the Mystery Reel will also have added wild symbols and stacked mystery icons as well. This means you really have the potential to secure some good payouts. 10 free spins do not sound overly impressive but when you factor in the Mystery reels that can affect them as well, you are looking at a free spins round that has plenty of promise for your wallet. If you were a fan of Guns N’Roses and are partial to a bit of heavy rock music, you are going to love this NetEnt title. In fact, even if that kind of music is not your cup of tea, there is still a very good chance that Motorhead will have all the ingredients you are looking for in an online slot. 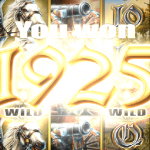 Packed with some excellent features and offering its own unique gameplay, this online slot is popular among players for a multitude of reasons. Top-notch graphics, a pumping soundtrack and some dazzling potential payouts, Motorhead is definitely an online slot that we rate highly. As you have the ability to play this online slot for free, we suggest that you do so in order to get a feel as to whether you would like to play this slot for real money further down the road. You have nothing to lose after all and you might just find that you agree with us that this is a top quality online slot.